LAS VEGAS, Nevada – At NAB this year, HARMAN's Studer will show how efficiently it can control newsroom playout or production automation systems with its full range of broadcast consoles, demonstrating the expanded integration of the Ember protocol into Studer Vista consoles at booth C2619 in addition to the existing inclusion in Studer's OnAir range of consoles. The Ember protocol provides seamless integration of Studer Vista and OnAir series consoles with 3rd-party broadcast control systems & newsroom production automation systems. Such a workflow enables broadcasters to add and expand newscasting without adding overheads in newsroom operations, and improves workflow and newsgathering ability while retaining the ability to go to manual override for breaking news. "Supporting the networking and routing needs of broadcasters is nothing new for us at Studer," said Katy Templeman-Holmes, Marketing Manager for Studer in the USA. "Some of the world's largest broadcasters have trusted Studer for over a decade to manage the integrity of their network operations with the Route 3000, Route 6000, Pro-Bel and now we will further support broadcasters' needs with the integration of Ember." Ember is a control protocol implementation that allows many audio console settings to be controlled over TCP/IP, in addition to the Pro-Bel SW-P-08 protocol that is supported already. An additional bonus to broadcast is Ember's ability to support multi-connection setups, making it an excellent choice for installations requiring redundancy. Ember connectivity allows the external equipment to transfer signal labels, and to control input channel gains, solo, mutes, plus AUX send levels and mutes, along with N-X (mix-minus) bus levels and mutes. Master channel levels and mutes can also be addressed along with Group and Aux master channels. 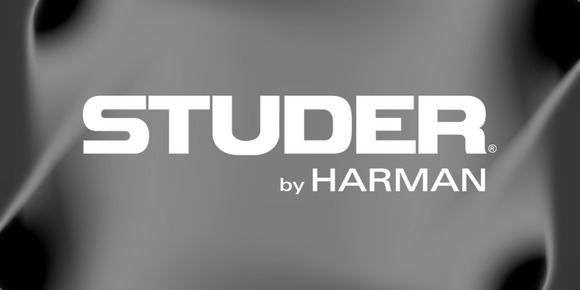 EMBER will be shown with the Vista 5 series of consoles on the HARMAN Studer booth C2619 at the NAB show, in addition to the showcase of Studer's five other new products being launched at the show. The new Vista 1 Compact will also support EMBER, in turn presenting a robust all-in-one solution for broadcasters looking to cost-effectively consolidate their studio operations.